Mumbai: Bigg Boss 3 Winner Update! 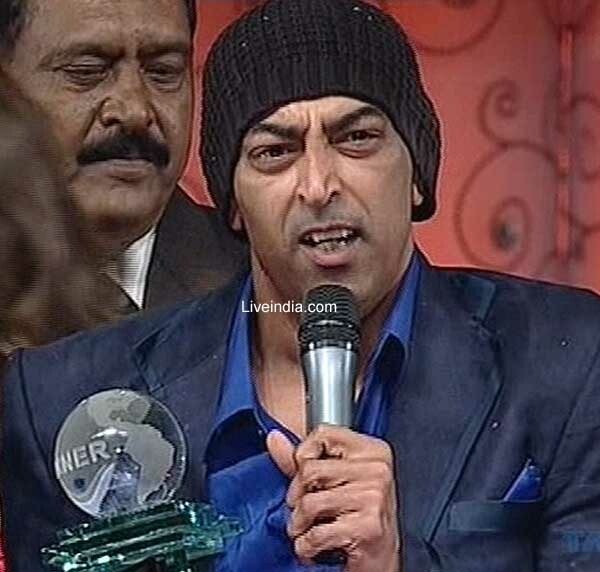 Vindu Dara Singh is the winner of Bigg Boss 3. The grand finale was held today at Lonavala Vindu will be awarded with a prize money of Rs.1 crore. The ultimate decision was announced in the presence Bollywood megastar Amitabh Bachchan, who has been hosting the current session. There were some speculations regarding the winner of the title. The film and TV actor Vindu Dara Singh has been the smart palyer of the show. At the same time actress Poonam Dhillon was also the race for the title. She has been maintaining a clean image throughout the show. 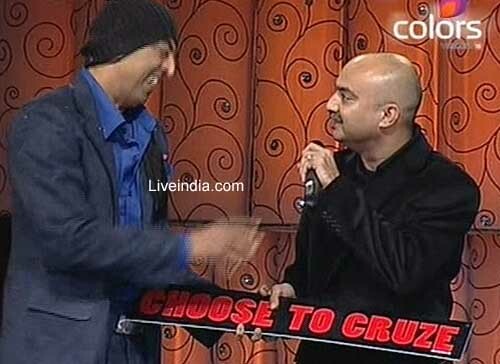 Vindu Dara Singh is the winner of Bigg Boss Season 3, the popular Indian television reality show. During a crowded and colorful grand finale, held in Lonavala on Saturday, Vindu was named the winner. Vindu got highest number of audience votes to win the third season of the popular Indian television reality show. Vindu walked away with the title, a Chevrolet Cruz car and Rs. 1 Crore (Rs. 10 million) prize money. Vindoo said that everyone was repeating the similar issue that my winning was expected by all & the time when it was said that Poonam ji is eliminated from the last 3 contestants then I got the surety of my winning.Vindu hummed by Poonam for not in the last 2 participants. e added that Poonamji came athwart as the main adult being in Bigg boss-3. After three months, 15 contestants finally came down to three finalists - Vindu Dara Singh, Pravesh Rana and Poonam Dhillon. During the grand finale, Poonam Dhilon was the first contestant to be evicted from the Bigg Boss house. Poonam received least numbers of audience votes and stayed at third position. Pravesh Rana was the first runner up. 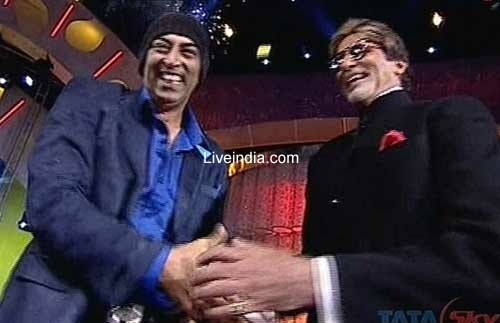 The grand finale of Bigg Boss Season 3 was hosted by Bollywood superstar Amitabh Bachchan. All housemates of Bigg Boss Season 3 graced the grand finale show and entertained the crowd with some Bollywood item numbers. Srivastav, Pravesh Rana and Vinod Kambli. When Vindoo was asked that do according to him Pravesh is the biggest loser then he explained that no it’s not like that infact he had achieved what he need to & the most important theme was the big change which this show is able to bring in him. According to Vindoo’s view, he thinks that Pravesh had changed himself from the time he realized his mistake & he had agreed that he had done the wrong by throwing the food in this way, but at end of the day, he left to be a good person. 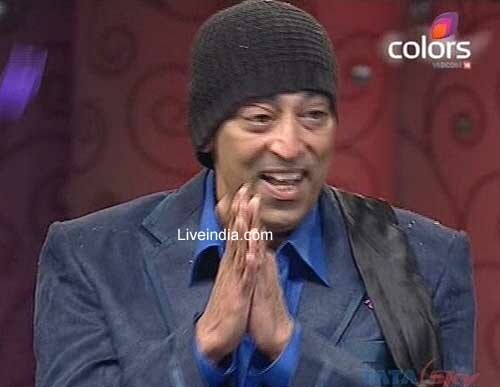 Vindoo Dara Singh is on seventh heaven after surviving 84 days in the Bigg Boss house and coming out as a winner. Here, Vindoo talks about who else he would've gladly given the crown to, why he used to talk to himself and what according to him would've helped in raising the TRPs of Colors' and Endemol Bigg Boss Season 3. How does it feel to be the winner of Bigg Boss 3? This is the best day of my life. I will go home and keep the trophy at the feet of my dad, who has inculcated the right values in life. Agreed the prize booty is huge but for me the love and respect what India has showed in me is much more important. I am also thankful for the Chevrolet car. It's quite sad that only the winner gets the prize money. Had I been a runner up, I would have felt quite bad at going home empty handed. Your equation with Pravesh Rana? He is a very big liar. He made such a big issue out of my aukaad statement, what wrong did I say? My intention was to show that nobody including me has the power to throw out anybody not even Bigg Boss. Pravesh's strong assertions that I will be evicted and if not then he will walk out, actually made me think whether the show was rigged or something. But now I know that Bigg Boss supports the truth. The entire system is transparent. The voting process is conducted by a third party. Coming back to Pravesh I sincerely feel that he is a changed soul after Bigg Boss showed him the video tapes of hungry children. But my family thinks he is not. Let's hope I am right, otherwise I will never talk to him again. You always seemed confident of winning? In the beginning, I was but when Vinod Kambli was knocked out and people like Claudia Ciesla stayed I was a bit worried. Hence after that I stopped saying Desh Ka Adesh. You had to see a psychologist? Yes, after getting nominated so early in the game I went into depression. Therefore, Bigg Boss sent a shrink who asked me to only pay attention to myself and not others. I used that piece of advice and reached the finals. I cried when I was happy. As for arguments, yes, they did happen. I was provoked not once but 3 times. But I had promised Amitji that I will not get physical and kept my word. Your take on Poonam Dhillon? I was the closest with Poonamji. I would have had no issues had she won, but if somebody else would have taken the crown I would surely have regarded it unfair. Besides Poonam who else were you close to? Ismail Darbar and Raju Shrivastav. But the former did not last long. And the latter, may be did not like me commenting on the way he brings up his children. Raju is a very good comedian but the country did not understand hence he went out. Did you expect Pravesh to reach so far? It's surprising that Pravesh lasted more than Tanaaz Irani and Aditi Gowitrikar. He might not have survived the last week but for Claudia's gift. Having said the fact that he garnered more votes than Poonamji in the finale, does indicate that the public did like his certain aspects. You were accused of putting others down? When Bakhtiyaar Irani was nominated I openly told him that he will go, for he was a small hearted individual, but to my surprise his better half Tanaaz went out. May be he was doing something what we did not know. I feel that had the channel aired 24*7 feed, it would have greater TRPs. Why did you talk to yourself? I am not crazy to do that. I was talking to India all the while. In an atmosphere where you can't trust anybody else, how can you have conversations? So whenever I got a chance, I would tell the public of what was happening as a sutradhar (mediator). You have also been accused of plotting and planning? I never indulged in such games. It was Rohit Verma and Raju, they would come and talk nominations to me. I could never understand why Raju saved Bakhtiyaar. But even I wasted a vote and saved Kamal Khan for I wanted him to stay on and make life hell for others. The Sarkar task which Bigg Boss gave showed the true character of everybody. Poonam ji took it very seriously. I did not want to take over the sarkar task till last. The way the whole government was dismissed showed the greed of Aditi, Bakhtiyaar and Pravesh. Rohit is a nice guy but he comes from a profession where backbiting and back stabbing is common. He was very insecure of nominations and thought that he will get out the first time, he was chosen. Although he troubled me a lot in both his innings, yet I have promised to work in his next film Desh Drohi 2. Will this victory help your career? Till now I have only worked with friends, but now some people say I am the biggest face of television, let's see what offers I get. But having said that I always work at my own pace. So far, Bigg Boss contestants have not succeeded beyond the show. Says who? Rahul Mahajan, a non- actor is doing number of reality shows. Can we ever forget Rakhi Sawant? Who knew Ashutosh Kaushik before he won Bigg Boss last time? A lot also depends on how you use the platform. Like Raja Chaudhary squandered away a golden opportunity. He made a number of mistakes due to his unstable mental condition.